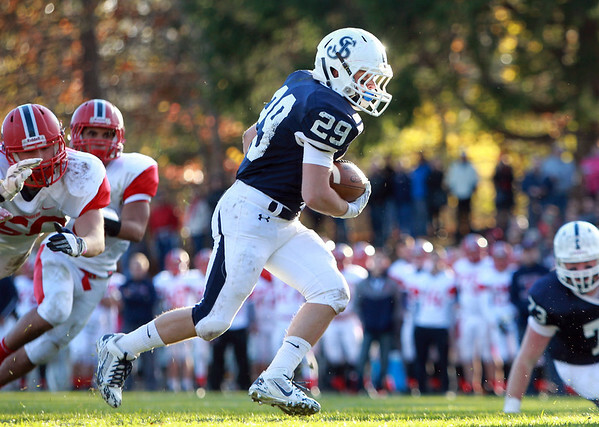 St. John's Prep senior running back Cody Harwood (29) finds nothing but open field in front of him for a short touchdown run against Central Catholic on Saturday afternoon. The Eagles steamrolled the Raiders 42-7 in the D1 North Semifinal at Cronin Field in Danvers. DAVID LE/Staff photo. 11/2/14.